My thirteenth ground of 2015 was on Saturday 15th August at Testwood Stadium in Totton, Hampshire. The match was AFC Totton vs. Shortwood United in the Southern League Division One South & West. 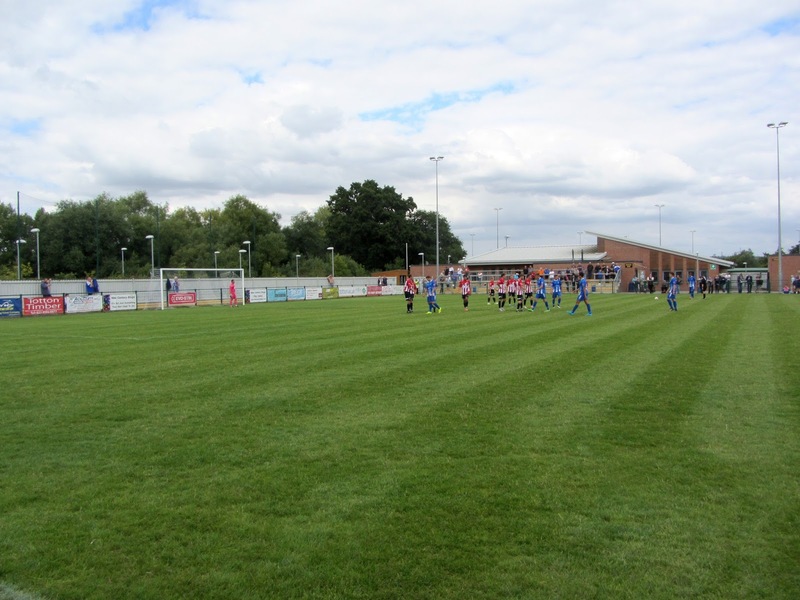 The Testwood Stadium is located in a sports complex on the northern edge of Totton. 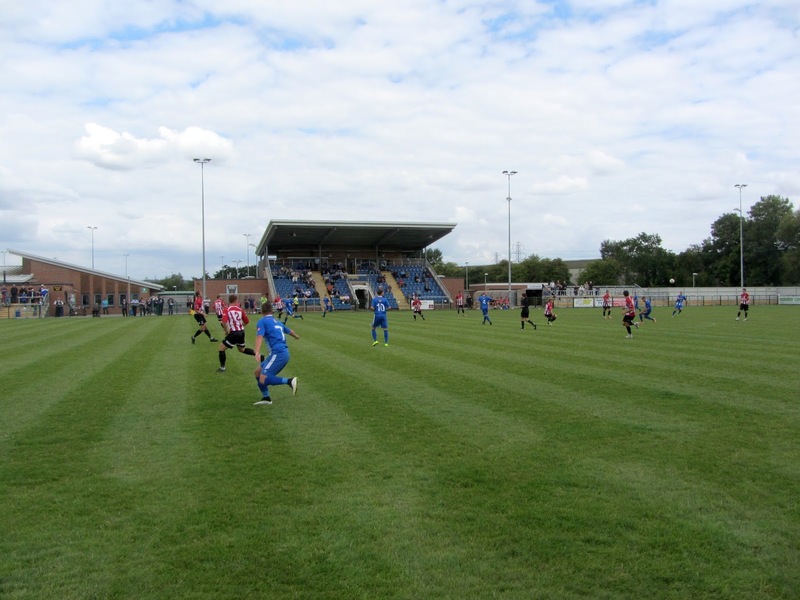 It is one of two stadiums within the complex (the other being Little Testwood Farm which is the home of Totton & Eling FC). The area is 1.5 miles north-west of Totton railway station. AFC Totton moved into the ground in February 2011 leaving their former home at Testwood Park where they had played since 1933. The Main Stand is a 268 seat structure by the half-way line on the eastern side of Testwood Stadium. A suite overlooking the pitch is contained at the top of this stand which makes it stand apart from other clubs at this level of the league ladder. Adjacent to this is a clubhouse and food outlet towards the northern goal while a club shop sits next to the stand towards the southern goal. This side of the ground also houses several rows of uncovered concrete terracing which extends towards both goals. The other seating area is on the western side of the ground with a thinner stands covering 4 rows of benches. As with the eastern side of the ground there are several rows of uncovered concrete terracing heading towards both goals. The space behind the two goals at the northern and southern ends of the ground is limited so there are just a couple of rows of uncovered terracing in these spots. 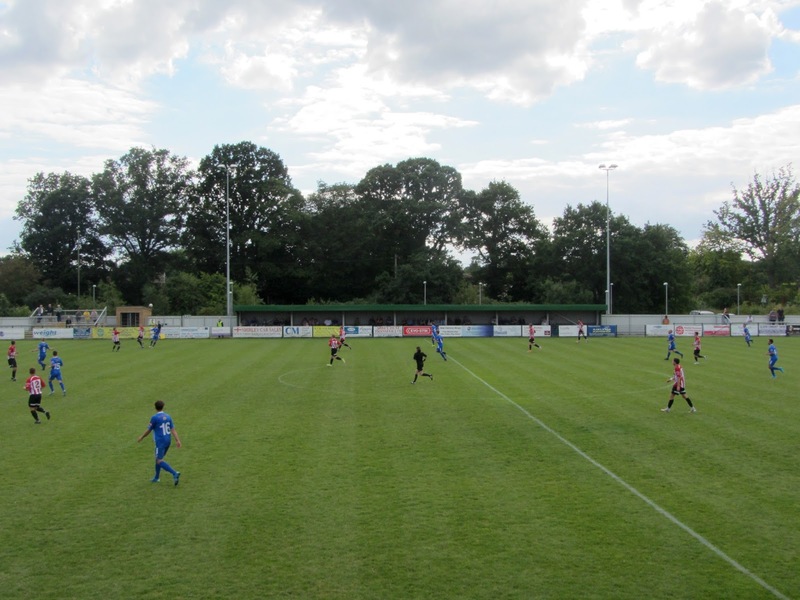 AFC Totton suffered a terrible start to the game as they found themselves 2-0 down within the first 8 minutes. The game was only 80 seconds old when Jake Parrott's cross-field ball to back post caused trouble in the home defence - Joe White flicked the ball over goalie Steve Mowthorpe and Jake Lee made sure by bundling in on the line. 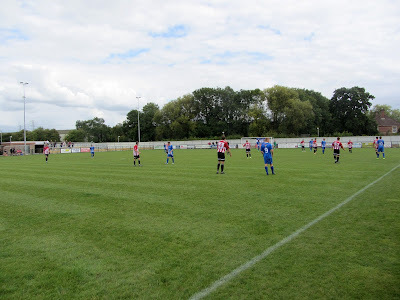 The second goal was an extraordinary effort - a free-kick was awarded just in front of the half-way line and when he spotted the keeper off his line Tim Haddock reacted quickly and lobbed him from all of 50 yards. After a dramatic start the rest of the first game was quiet with Totton only limited to half-chances by a well organised Shortwood defence. It was the visitors who came closest to scoring again on the hour mark when Matthew Bennett blazed over from inside the box. After this effort the game petered out and got a little tetchy towards the end as some took exception to some of the tackling on display.